“The Corps of Engineers too often ignores the impacts its actions have on local lakes and residents, and it’s time for a fundamental change to how the Corps handles its responsibilities. I’m glad to see provisions in this infrastructure bill that would increase the influence that residents of Northeast Georgia have over their water resources, homes and communities, and I’ll continue holding the Corps accountable for how it manages lakes in Northeast Georgia. 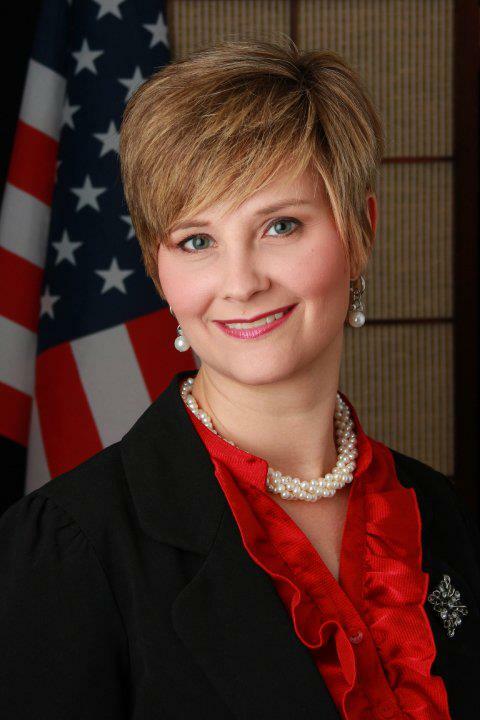 “The Water Resources Development Act also ensures that the Savannah Harbor Expansion Project, which creates jobs across the state and is critical to Georgia’s economy, continues to receive necessary resources,” said Collins. 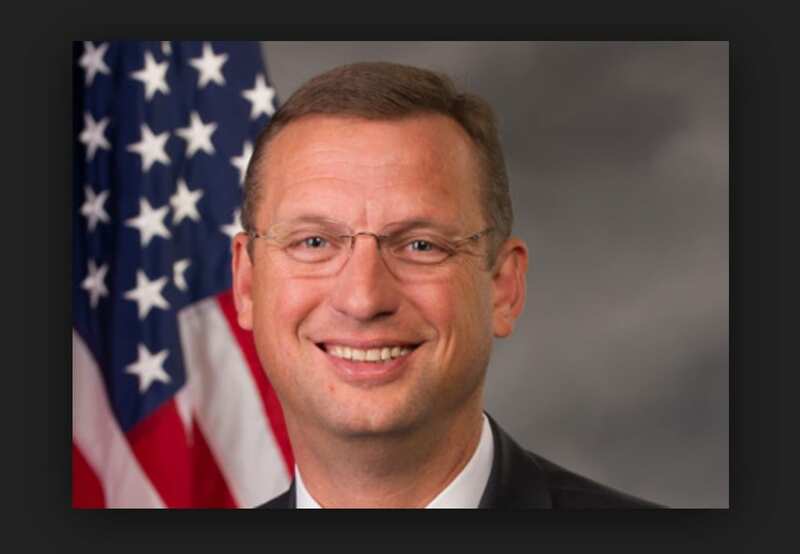 Tune in as BKP interviews our very own 9th District Congressman Doug Collins on the current government issues and day 3 of the government shut down. 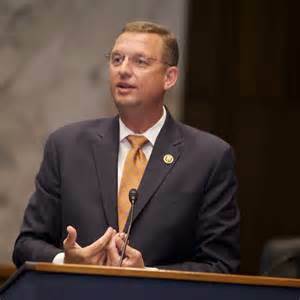 Hear how Collins feels about the situation and what needs to happen to resolve the issues at hand. Bill Kokaly presents Tim Satterfield (right) “Hero” award on behalf of Congressman Doug Collins. 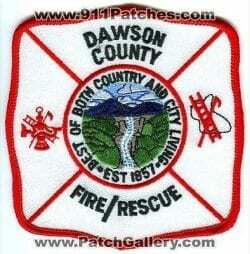 DAWSONVILLE, Ga. – Dawson County Emergency Services Director Lanier Swafford faces a nearly impossible task in the new year – replacing the old warhorse Deputy Chief Tim Satterfield, who is retiring this week. 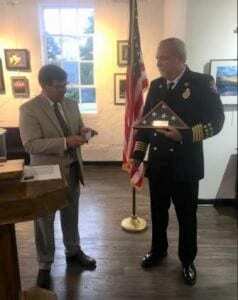 Satterfield, a 41-year fire services veteran, has humbly, selflessly and heroically served the citizens of Dawson County the last 12 years, following stints in Clayton County and the cities of McDonough, Georgia, and Clearwater, Florida. Dawson County Commissioners recently celebrated Satterfield’s service with a reception following the Board of Commissioners work session. Satterfield has specialized in canine search and rescue and has taken part in more than 50 state and federal level missions, including water search, arson, bomb disaster search and work with missing and abducted children. 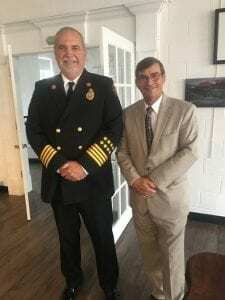 He is state coordinator for the urban search and rescue team and was one of the first of 12 team members in the U.S. certified in child abduction response. His K-9 unit received the Marguerite Brock Rescue Award from the Emergency Management Association of Georgia. 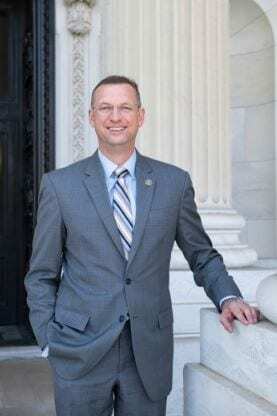 In September, Ninth District Congressman Doug Collins presented Satterfield the “Hero” award as someone who has gone above and beyond during their career to help citizens in and around their communities. 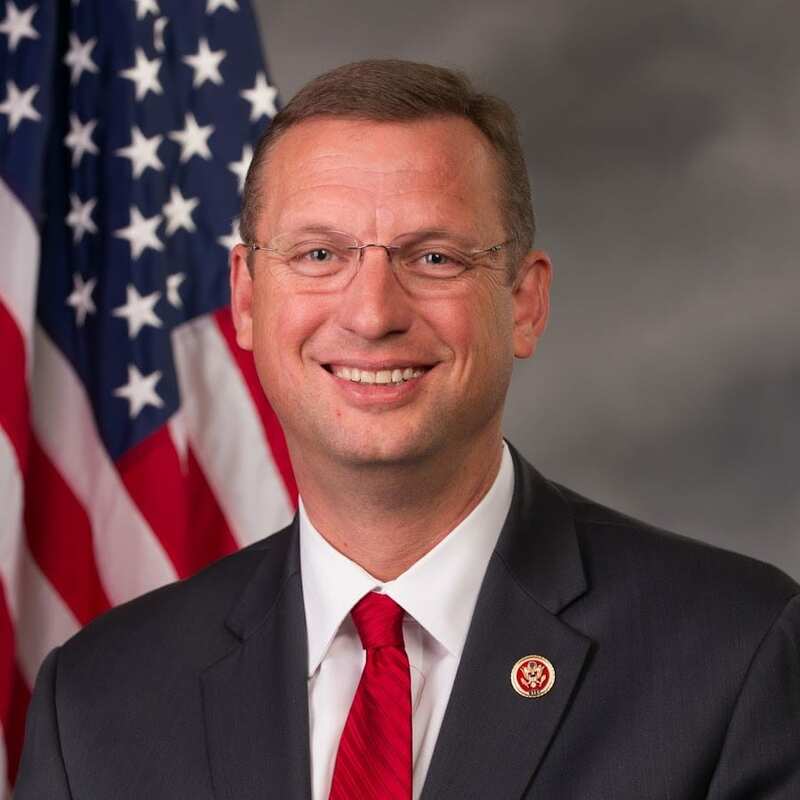 Georgia’s 9th District Congressman Doug Collins joined us for a brief phone interview this morning. He started out the interview by saying today is going to be a good day and a good day for the American people. The new Tax Bill should be on the President’s desk by the end of the week, Collins said. 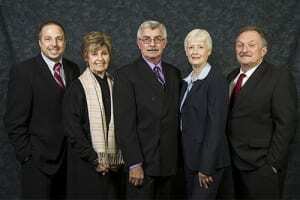 This new bill will do away with the Obamacare/health insurance mandate. The American people will no longer be “forced” to purchase health insurance. BKP went on to ask Collins about topics such as the government funding, a possible spending resolution, Russian dossier on going investigation, and a possible 2nd council. Collins finished the interview with a comment about President Trump’s National Security speech. “We have a world that is unstable but a leader who wants to keep America safe and keep our leadership in the world.” As always we would like to thank Congressman Collins for taking time to speak with us.